It has been a dream of mine since I was a small boy to hike the Appalachian Trail. With the desire only increasing and the time in my life never more opportune than now, “the mountains are calling, and I must go.” The next five months will be an adventure of a lifetime. Yet my hiking the Appalachian Trail won’t simply just be an outdoor journey, but will represent a significant transition in my life – both in priorities and values. Hiking the trail is the start of living a life dedicated to both pursuing adventure and dedicating myself to my love of the outdoors, mountains, and history. While my thru-hike will be an adventure, another exciting adventure awaits when I return home where my wife and I will be moving to Asheville, NC. We will be in a new town, new home, and I will be attempting to start a new career pursuing my passions. My trail name is “Whippersnap” – a name affectionately given to me by my Smokies hiking friend Gretchen Kirkland (Slowalk) when we first met. When I began hiking in college, I was a bit wet behind the ears – to say the least. I sought advice from many older, experienced hikers – many of which became my close hiking friends. Still at a young age, I covered a lot of peaks and trails and even wrote a book, so the name stuck. Admittedly it is a name I will outgrow, if I haven’t already. But it is a reminder of the enthusiasm with which I started hiking, something I’ve never lost since. Born in Erie, Pennsylvania, Peter Barr moved to Charlotte, North Carolina, with his family when just seven years old. His parents fostered a love of the mountains in him by taking the family on day trips all over western North Carolina, especially along the Blue Ridge Parkway. Barr learned about the Appalachian Trail at a young age upon reading a sign in the parking lot at Newfound Gap in the Great Smoky Mountains and was endlessly intrigued by a 2,000 mile footpath leading from Georgia to Maine. After his return home, Barr visited the public library the next day and checked out every book on hiking and camping he could get his hands on. Soon he was hooked and even built a hiking trail in the backyard behind his home. Barr would walk back and forth with his school book bag filled with textbooks. While attending the University of North Carolina at Chapel Hill, Barr began pursuing the Congressional Award Gold Medal, a congressional honor given to young Americans who complete extensive projects in four different fields of personal development. In addition to fitness and public service, the award required a four day self-planned outdoor expedition. Barr planned a trip to hike 70 miles in five days on the Appalachian Trail through the Great Smoky Mountains National Park with a college friend. According to Barr, they did everything wrong: 60 pound backpacks, tennis shoes, all cotton clothes, a cooking stove they didn’t know how to use, a false sense of physical conditioning, and chips on their shoulders. They thought of turning back several times, but completed the trip as scheduled. He still aspires to hike the Appalachian Trail in the coming years. During his college years, Peter Barr worked as an outdoor expedition leader for Carolina Adventures, the campus outdoor club. The club led WAFFYS (Wilderness Adventures for First Year Students), week long backpacking trips for incoming freshmen as component of the college orientation program. He later completed the “South Beyond 6000” challenge, climbing the 40 peaks in the southeast over 6,000 feet. After finishing the program, he joined the Carolina Mountain Club and presently chairs its challenge program committee where he developed and implemented the “Lookout Tower Challenge”, a program that challenges hikers to reach 24 of western North Carolina’s lookout towers. In addition to hiking, his hobbies include peakbagging and county high pointing. He has climbed the “Southeastern Highest 100” and “North Carolina Highest 100” summits, one of only two people to have ever completed these peak lists. He has also summited every southeastern peak over 5,000 feet, becoming the first person to ever do so, and has reached the highest point in over 87 North Carolina counties. He recently completed his latest hiking goal, walking all 900 miles of trails in the Great Smoky Mountains National Park. Barr founded the North Carolina chapter of the Forest Fire Lookout Association, a group dedicated to preserving and restoring fire lookout towers for their historic and scenic values. In addition to visiting nearly every fire tower in North Carolina, he is working to initiate multiple restoration projects for many lookout towers in the western part of the state as well as maintain and improve their access for hikers. His future outdoor ambitions include thru-hiking the Appalachian Trail, completing North Carolina’s 100 county high points, and hiking the 400 miles of trails in the Pisgah National Forest. Barr currently works as an organic extractions analyst at a laboratory in Charlotte. Hiking North Carolina’s Lookout Towers is his first book. 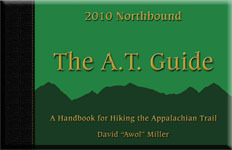 His second book, a hiking and historical guide to North Carolina’s highest mountain peaks, will be released next year. From that short biography, you probably can tell that I love hiking, the outdoors, fire towers, and high mountain peaks. But what it fails to include is my greatest love – my beautiful wife Allison. Allison and I have been inseperable for almost nine years. She is my best friend and the love of my life, and while I am endlessly excited about hiking the Appalachian Trail, being separated from her for this period may be the hardest thing that I ever do. Without question, leaving her will be the most difficult aspect of my hike. Nevertheless, it is because of her thoughtfulness and selflessness that I will attempt such an adventure. Knowing me better than anyone, she sensed my burning desire to take this journey – even though it was mostly unspoken. It was her suggestion that I use this opportunity in my life to both hike the Appalachian Trail and then move to the mountains to persue my passions. I am endlessly indebted to her for this understand as well as her encouragement to go after my dreams. Allison actually was the person who first took me camping during our first summer together. Our first hike together was to the top of Looking Glass Rock in the Pisgah National Forest. Following the discovery of my love of hiking and backpacking, we’ve hiked together at every opportunity, covering hundreds of miles of trails and spending handfuls of nights together out in the wilderness. She tolerates my addition to collecting things like summits, towers, and high points. But above all, she knows the importance of hiking the Appalachian Trail to me, as well as following a career that makes me happy. I love you, babe. My first backpacking trip led me to an old fire tower where I quickly fell in love with its view and its history. The focus of all of my hiking trips thereafter was to reach fire lookout towers atop isolated mountain peaks. Upon seeking out more information about other towers in western North Carolina, I came up alarmingly short. Eventually I located the sites of dozens of these towers on old maps and began hiking to them. These adventures led me to two conclusions. The first was the many of these towers have long been removed – their views and history gone forever. Many of those that remained were nearly dilapidated or had been restricted from climbing. I quickly developed a burning desire to preserve these structures. Secondly, I realized that while others surely enjoy the scenic vistas and fascinating history of these towers, no comprehensive information on them was available. After hundreds of miles of hiking and endless hours researching and interviewing, John F. Blair, Publisher, one of the southeast’s and North Carolina’s leading publishing houses, took a chance on a 23 year old kid passionate about fire tower. 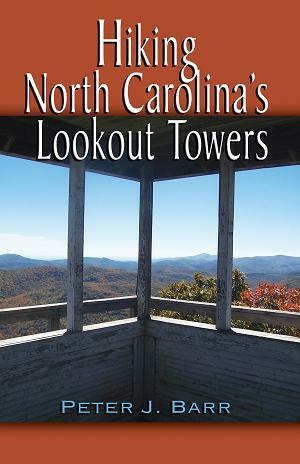 My first book, Hiking North Carolina’s Lookout Towers, was released in 2008. You can find out more about the book here, and if inclined, purchase your own signed edition. Since the release of my book, I’ve focused my efforts both preserving fire lookout towers and improving their accessibility for hikers. 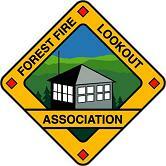 I established the North Carolina chapter of the Forest Fire Lookout Association. Though this organization, I fund raise for restoration projects and advocate for the preservation and rehabilitation of lookout towers. In 2009, I successfully lobbied for $734,000 of funding from the American Recovery and Reinvestment Act for the restoration of lookouts in the Pisgha and Nantahala National Forests. In 2010, I hope to initiate lookout tower access weekends for the Albert Mountain fire tower as well as raise $2,178 dollars for the restoration of the Shuckstack lookout tower in the Great Smoky Mountains National Park. 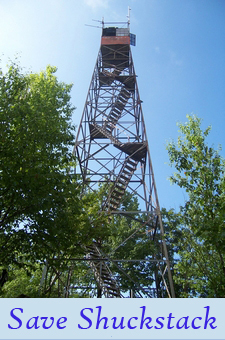 Visit my NC Lookouts fire tower blog for more on fire towers. When I’m not hunting fire towers, I’m climbing mountain peaks. I first became interested in “peakingbagging” by reaching the summits of the 40 peaks in the southeast that exceed 6,000 feet in elevation. 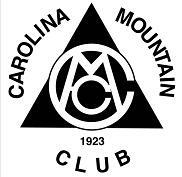 Over the course of a year, I completed this task and earned the “South Beyond 6000” award, a program administered by the venerable Carolina Mountain Club’s challenge committee. Years later, I now chair that committee. Not satisfied with only reaching the 6,000 ft. peaks, I set out to collect all 5,000 ft. peaks in the southeast. This challenge took me on countless treks over nearly every corner of the southern Appalachian highlands. Over half of them without trails, I crawled through impenetrable thickets and scaled rarely visited slopes. An unexpected snowstorm nearly cost me three of my fingers during the pursuit of one of the peaks. Many of the adventures were epic. I finally completed my goal, reaching nearly 200 peaks, three years later. My second book will be released next year and cover the hikes and history of these peaks above 5,000 ft. in the southeastern U.S. During my Appalachian Trail thru-hike, I’m lookin forward to collecting hundreds of other peaks on my many lists of mountains. Follow my AT thru-hike peakbagging progress here . While my adventures have taken me all over the southern Appalachians, no place remains as dear to me as the Great Smoky Mountains National Park. It was the first place I backpacked and experienced the Appalachian Trail, and is remains my favorite location to return when I seek solitude in the woods. In the Smokies, I’ve met so many friends and have made so many cherished memories. I often describe the feeling of returning each time to the Smokies like that of a child’s excitement on Christmas morning. My excitement for this place has never faded. A few years ago, I completed hiking all 900 miles of trails within the park, a project that took me about four years to finish. My closest hiking friends joined me atop Hemphill Bald, one of my favorite locations in the park. I’ve spent endless hours exploring the wilds of the Smokies off-trail, too. As you read my journal over the course of my hike, my love of history will become very apparent. One romantic sentiment that I always feel while walking on the Appalachian Trail is that I am literally following in the footsteps of hikers before me – many of these explorers, conservationists, hiking pioneers, inspirational figures, and even good friends. I have no shame in holding heros in my fields of passions, and they will be in my mind and reflected through my writings during my hike. My heros include Harvey Broome, Smokies conservastionist & writer; Arnold Guyot, southern Appalachian explorer and original southeastern peakbagger; Elisha Mitchell, Black Mountains explorer & once single handedly operated UNC-Chapel Hill; Thomas Clingman, NC senator, southern Appalachian peaks explorer, and feather-ruffler extraordinaire; Horace Kephart, early Smokies explorer and promoter; Earl Shaffer, first AT thru-hiker; Gene Epsy, second A.T. thru-hiker; Lee Barry, original modern southeastern peakbagger and oldest AT thru-hiker; Ed Garvey, A.T. promoter and conservationist; Dwight McCarter, modern Smokies explorer, Myron Avery, A.T. trailblazer and pioneer; and many others. I have a lot of friends who have made this journey before me. Their adventures and stories have only fueled my burning desire to follow in their footsteps. The first A.T. thru-hiker I ever met was Andy Brown (Rowboat) on my first backpacking trip. His sincerity and encourangement towards me fostered my newfound love of hiking and the trail. Other friends who have thru-hiked and been exceptionally helpful in both giving me advice and encouraging me to make my own hike include Brian Allgood (Allgood), Matt Kirk (Sweeper), Comer & Jean, Christine & George Wilson (Blue Light & Bootz), Tommy Bell (Low Gear), and David Miller (AWOL). Hiking is an important part of my life not simply because of my passion for the mountains and forest, but because through it I have made many of my best friends. David Landreth (griztax) and Gretchen Kirkland (Slowalk) fostered my love of the Smokies. Shannon Dillmore and Brian Bockhahn have shared with me the lunacy of county highpointing and peakbagging. And through hiking I’ve grown closer to my best of friends Brad Davis, John Baucom, my father, and most of all, my wife Allison. Well, it’s time I stop writing and start walking. I’ve certainly got a long way to go. I’ll see you along the trail…. Hey Peter, we have enjoyed being along for your hike. Thanks. We look forward to seeing you and Allison Friday when you get into Hot Springs. We’ll have the Knob Cabin all ready for you. The hot tub might feel especially good this trip! We will also have lots of baby goats for Allison. Hey Peter – I tore out a CMC newsletter item about your AT journey months ago, and today is the day I actually sat down at the office and visited your journal. Though much older, I feel like I know you from your journal entries about the amazing joys of high places in the Appalachian Mountains. Today I made a donation to your “Save Shuckstack” fund – what an awesome idea! Speaking of awesome ideas, if you or Allison owns a car or truck, you better have an AT special license plate on it. I wrote the legislation for that tag, along with Senator Joe Sam Queen, and we now have raised about $400k to support and conserve the hundreds of miles of the AT in NC! Thanks Joe Sam! I now serve on the BOD for ATC, so I will close by urging you to join ATC – the Trail will not survive unless we all support ATC – so many thru-hikers do not see that at the time they hike, but it is indeed true. p.s. you are so right re loved ones being one of the hardest thru-hiker challenges – it was my wife and a certain pre-departure pregnancy that turned my 2001 thru-hike quest into a the nine year plan! My boyfriend and I met Allison and her brother on Mt. Sterling at the fire tower last weekend and we finally got around to looking up the website. Very cool. I’m forwarding to a friend of mine who writes hiking books too. Best of luck on your hike (we’re both jealous) and please say “hi” to Allison for us! Found your sticker in your March 29, 2010 logbook entry at Bobblets Gap shelter North or Roanoke Va.
Glad to see that your trip was a success. Whippersnap! Congratulations on summiting K! I ran into Grapevine atop Mt Washington and he gave me the news, but alas, I could not text congrats to the phone number he gave me. So, now, I take this approach. I was so happy to hear the news, and you got it done in time to start the new job. Yay for you bud! I got it done too, but it took me till October 5 which is just fine with me. I shared your recipe for Oriental Ramen with PB added with many people along the way, always giving you the credit for the culinary inspiration that it is! If you ever get tired of peak bagging and fire towers you could write a book, 100 things to do with Ramen. Just a thought. I think you’d be good at it. Later pal, and again, CONGRATULATIONS!